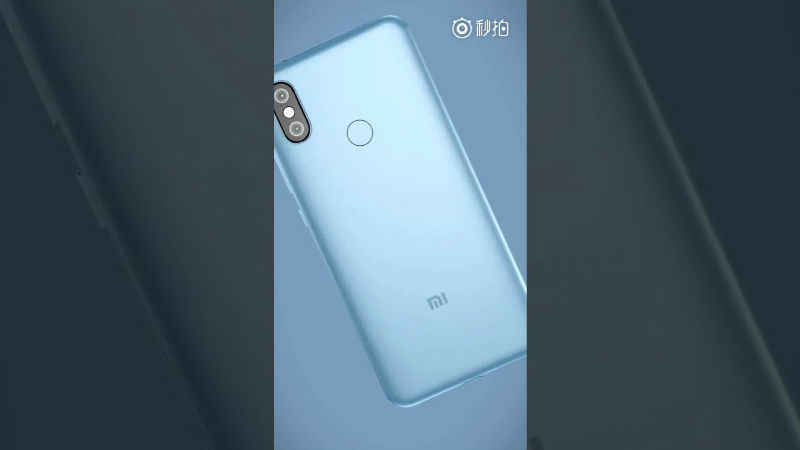 Come April 25th Xiaomi Mi 6X will soon see the day light and Xiaomi has very well managed to raise the excitement among its customers when it released a promotional video of the soon to be released phone. All the speculations and rumours doing rounds about this handset were put to rest when the video showing a shiny and beautiful device was rolled out. A dual camera phone with 20 mega pixel primary sensor, Mi 6X has got its loyal fans eagerly waiting for its arrival. As per the promotional video, the dual camera might have a Sony IMX486 sensor. As the video was uploaded by a third party and not Xiaomi, it isn’t clear if this is an official promo video or not. This 18-second video reveals very little about the mobile but what’s clear is that it closely resembles Redmi Note 5 Pro in many ways. The commonalities include the 18:9 full-screen displays and a dual rear camera that has a vertical set-up. The 5.99 inch full HD model is powered by a Qualcomm Snapdragon 660 SoC with an inbuilt storage of 128 GB or 64 GB or 32 GB storage and a 4 MB or 6 MB RAM. With a battery of 2910mAh, it will possibly run on Andriod Oreo for the China market and Android One brand for the rest of the market including India. Going by the video, this model of the phone will come in four variant of colors viz-a-viz an attractive blue, a vibrant red, a glittery gold and the classic black, and going by the trend in the recent years a rose gold colour is also expected to make an entry during the launch. With this, they are trying to make sure they cover a larger section of the market and provide as many options as are commonly expected. Xiaomi is anticipated to release a couple of new smart-phones this year; many are successors to the previously released versions. The flagship Mi 7, successor of Mi A1, and Redmi S2 which is an India specific model are all likely to be released this year. With the aggressive expansion plan Xiaomi has, and the new manufacturing plant it set-up in India, it certainly plans to keep up with its aggression to penetrate more markets. For now at least, looking at the teaser it seems clear that Xiaomi fans are not going to be disappointed. Founded by Lei Jun, Xiaomi is a Chinese software and electronics organization that is headquartered in Beijing. It develops, designs, and sells mobile phones and applications, smartphones, laptops, and consumer electronics. From the time it launched its first smartphone in 2011, Xiaomi has become the 5th largest smartphone manufacturer in the world. Its flagship mobile, the Mi series has taken it to the heights it has reached. After receiving funding from investors of over US$1.1 billion it has become worlds 4th most valuable technology start-up, taking its overall valuation to more than US$ 46 billion and revenue of US$ 15 billion.